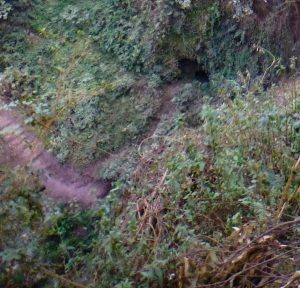 It was only in 2016 that the small cave opposite the Falls was discovered as it had been tucked away out of view and covered with vegetation. A lot of earth had washed in with rain and this was removed down to the rocky floor. 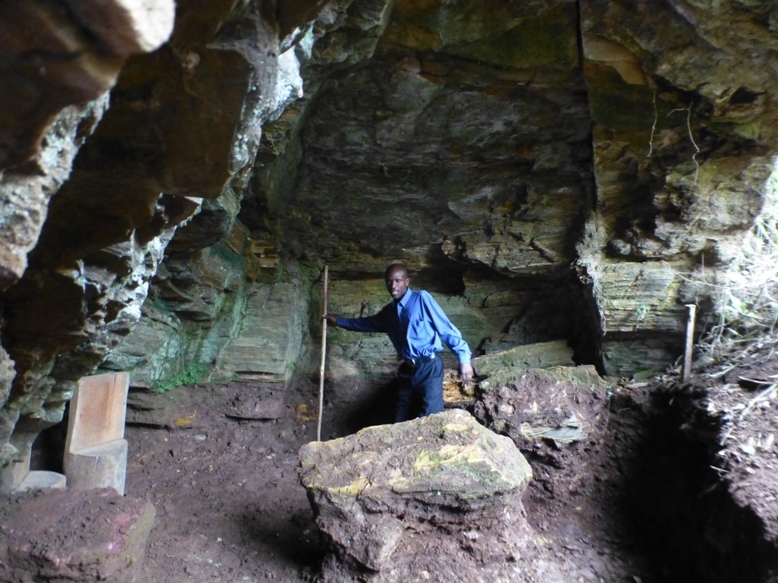 The strata and layers of the rock are clear to see. 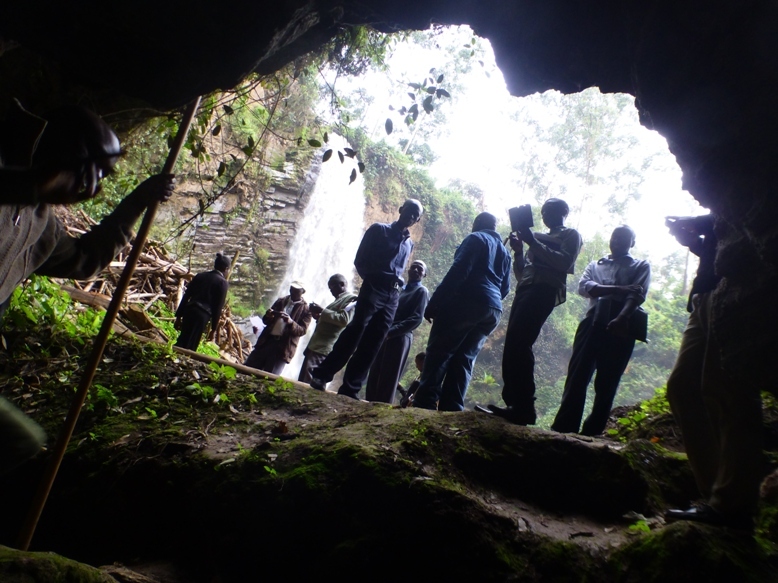 Though small, the cave gives a very different perspective on the beautiful Falls. 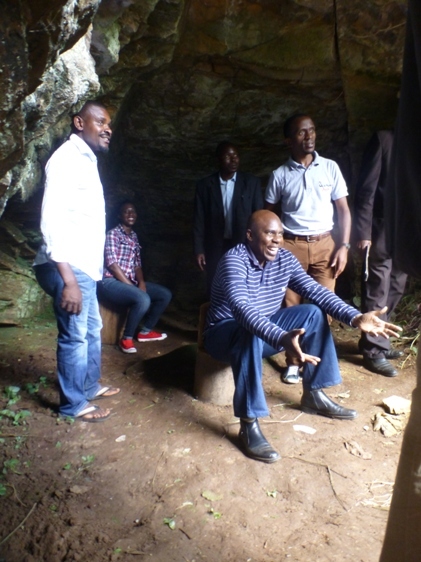 Vivian from Ministry of Tourism enjoying the seat of honour in the Cave!